Organic chocolate is basically no different from the chocolate we already know and love except that it is made with organic ingredients. However the environmental differences are huge. This organic dark chocolate bar uses fruity aromatic sour cherries to delight and stimulate the taste buds. cocoa mass*, raw cane sugar*, cocoa butter*, pieces of sour cherry* 3,5%. Cocoa solids: 62% minimum. May contain components of shell fruits, milk and gluten. 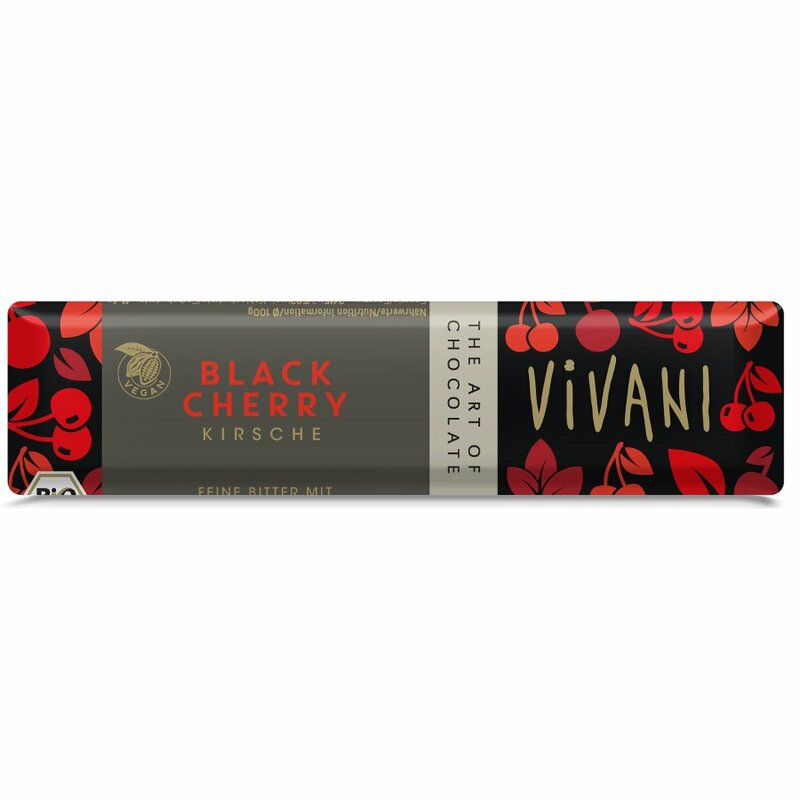 There are currently no questions to display about Vivani Organic Black Cherry Chocolate - 35g.